Soundweb London Chassis - Akwil Ltd.
Soundweb London Chassis There are 8 products. 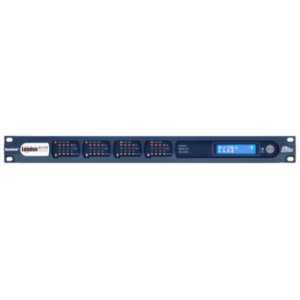 The Soundweb London BLU-800 offers configurable I/O, configurable signal processing, CobraNet audio and a high bandwidth, fault tolerant digital audio bus. 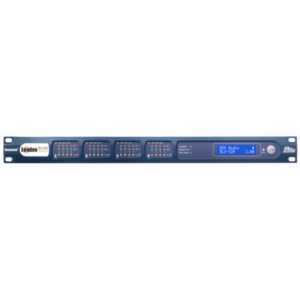 The Soundweb London BLU-805 offers configurable I/O, configurable signal processing, Ethernet AVB audio and a high bandwidth, fault tolerant digital audio bus. The Soundweb London BLU-806 offers configurable I/O, configurable signal processing, Dante audio and a high bandwidth, fault tolerant digital audio bus. The Soundweb London BLU-320 offers configurable I/O, CobraNet audio, and a high bandwidth, fault tolerant digital audio bus. The Soundweb London BLU-325 offers configurable I/O, Ethernet AVB audio, and a high bandwidth, fault tolerant digital audio bus. The Soundweb London BLU-326 offers configurable I/O, Dante audio, and a high bandwidth, fault tolerant digital audio bus. The Soundweb London BLU-120 offers configurable I/O and a high bandwidth, fault tolerant digital audio bus. Do you have a question about one or more of our Soundweb London Chassis products? Click below to contact us.